Blessed. That's the word you hear Tim James say most often when discussing his music career. And when you hear him pick up a guitar and play a song, you realize he has, in fact been blessed with a unique ability to weave beautiful yet simple details into the narrative of a song. Having grown up in the shadows of Music City in nearby Murfreesboro, Tennessee, James was within a stones throw of the country music capital of the world. Yet he took a much more circuitous route to becoming a hit writer in Music City. After a 10 year stint in L.A. playing clubs and writing songs, James moved back to Tennessee and signed his first publishing deal at an age when most writers have either had success or moved on from the music business. "I was 37 when i signed my first deal, 40 when i had my first cut and 41 when i had my first #1 song" says James. That song turned out to be the 5 week #1 song, "My List", recorded by Toby Keith. "My List" went on to be the most played song of the year in 2002 and has since been on albums that have sold over 10 million copies. That opened the doors to Music City and for James, there's been no looking back. Cuts by Montgomery Gentry, Alabama, Chris Young, Buddy Jewel, Craig Morgan, Point Of Grace, Lee Ann Womack and others followed. Receiving an ASCAP award for "It's Good To Be Us" by Bucky Covington and a BMI award for "Holler Back" by the Lost Trailers, James says the awards he didn't win were the most satisfying. "I was nominated for a Grammy award for Best Country Song in 2009 for "All I Ask For Anymore" by Trace Adkins", says James. "And just to be able to go back to L.A. and attend the Grammys was an all-time highlight" he says. 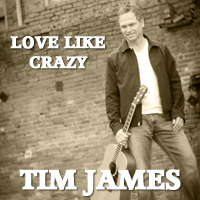 In 2011, James was nominated for the ACM Song Of The Year with "Love Like Crazy" recorded by Lee Brice. "Love Like Crazy" still stands as the longest running song in the history of the Billboard Charts. Singles such as "He's Mine" by Rodney Atkins followed with James once again topping the charts in 2013 with "Give It All We Got Tonight", George Strait's 60th Number One song. In 2015, James, Darius Rucker and Rivers Rutherford wrote 2 songs, "So I Sang" and the title track "Southern Style" for the #1 album "Southern Style" by Darius, and most recently wrote the Chris Stapleton song "Either Way" from the Grammy-winning Album Of The Year, "From A Room, Volume 1". 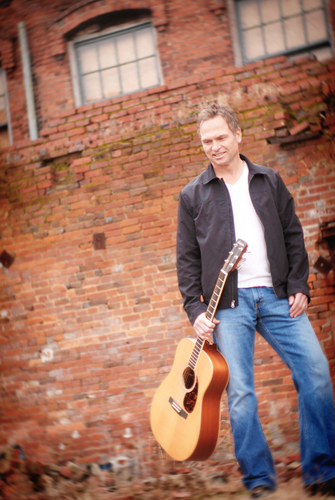 Known for his heartfelt lyrics and attention to detail, James continues to write song after song after song, believing his best is yet to come. His sense of humor and his connection to an audience make him a sought after performer year after year. "I believe in chasing the dream" says James. "When i quit my day job, people told me i shouldn't quit my day job" he says. 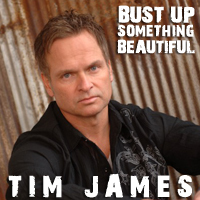 With a determination unmatched and a passion for great songs, Tim James continues to make the dream a reality.